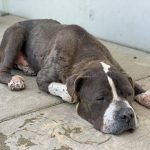 There’s nothing like a dog being taken from a life of neglect and abuse and placed in a situation where they can live the way they were always meant to live. Every dog deserves this love and affection. And it’s such a special thing to witness the moment when it all changes for them. 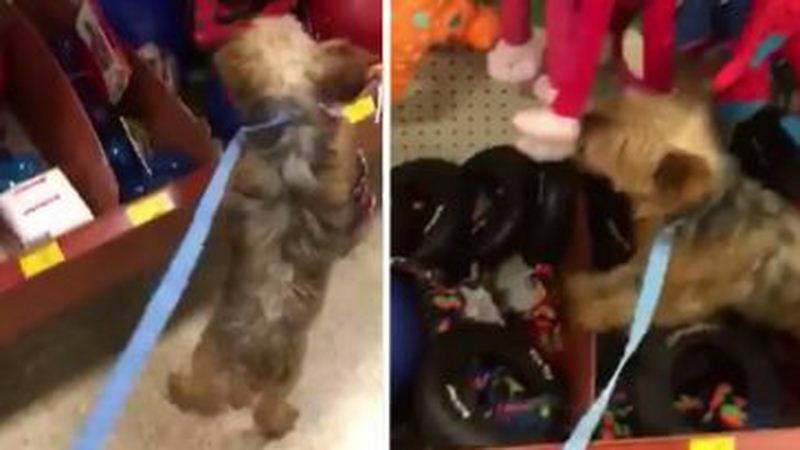 The senior dog has never had a toy or been able to play, but now she gets to pick out her very first toy. The little girl is so excited that she jumps right up and into the bin! 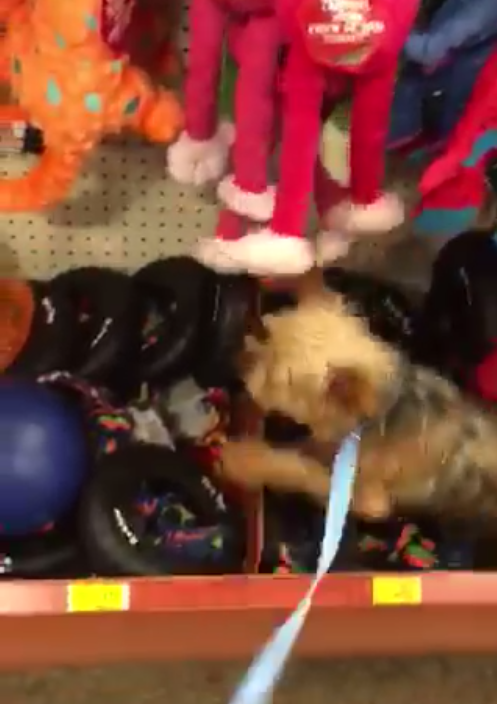 A bit easier way to pick a toy out for such a little dog I suppose! What a heartwarming sight. This video brought to you courtesy of an amazing foster family. 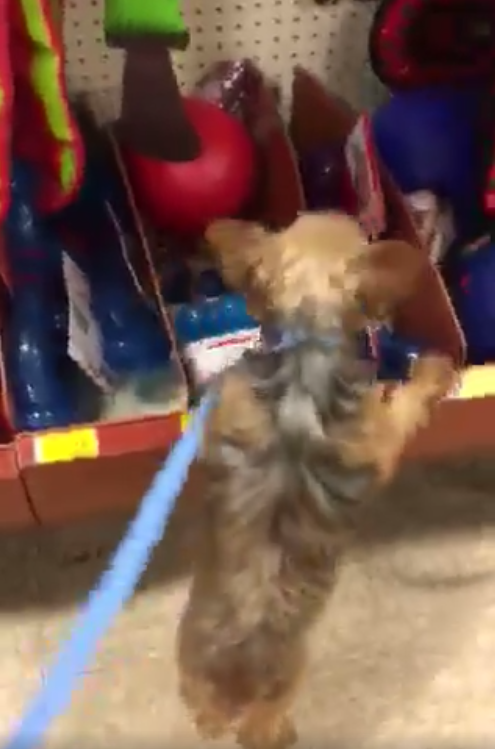 First time this ten year old Yorkie we named Katarina ever got to shop for her own toy!! 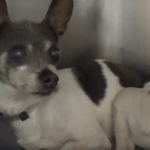 She has spent her entire life in a tiny cage at a puppy mill. Her foster parents have committed their home and hearts to this girl for 3 months as we get her dental and spay surgeries done and treat her heartworm disease. 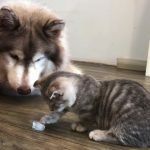 Interested in fostering? 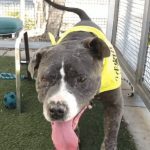 Fill out an application on our website, hubcityhumanesociety.org or run by the shelter. 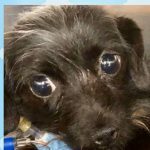 Desperately looking for a foster for a little older male Maltese from the same puppy mill that also needs a foster home during Heartworm treatment. Text 601-297-5326, Brenda if you are interested in fostering him.